DIY SEO - Don’t Pay For SEO Until You Have Done These 6 Things For Free! Don’t Pay For SEO Until You Have Done These 6 Things For Free! Every business owner wants their business to show up at the top of Google. By following our starters guide to optimising your website you will be able to boost the rankings of your website at no cost and eventually (with the help of ongoing SEO) get your website onto the first page of Google. Before you can optimise your website you will need to choose which keywords (or terms) you would like to optimise your website for. For example, if you run a store that sells car tyres in the Brisbane southside, one of the top keywords you should be trying to rank for would be “car tyres Brisbane southside”. It is important that your target keywords are included in all of the main elements of the page, including the main body of text. This is because both site visitors and search engines will be looking for those terms to confirm that the page is relevant to the searcher’s original query. A title tag is an HTML element the represents that title of the webpage. The title tag is displayed in the tab at the top of the window (see image 1), and is also used as the title for your website listing on the search engine results page (see image 2). The optimal length of a title tag is 50 to 60 characters as that is the number of characters Google will typically display. 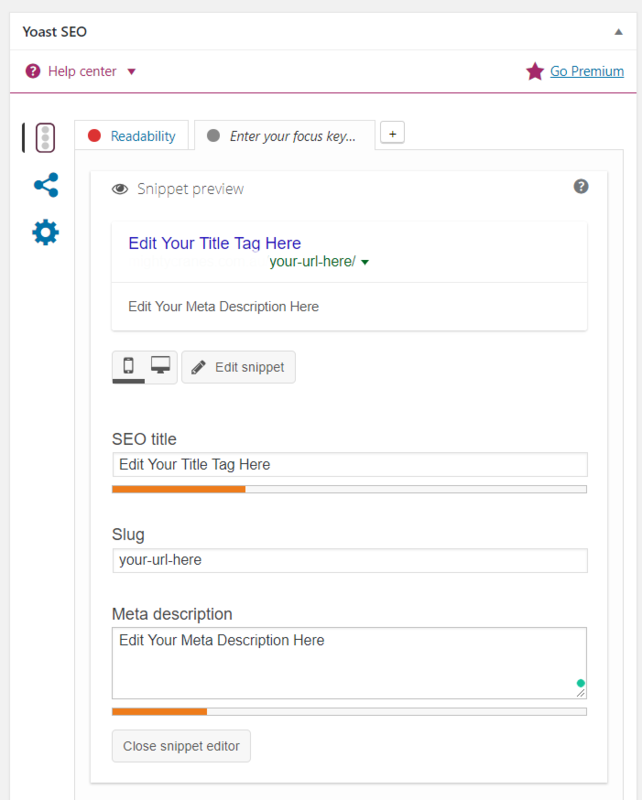 If you create a title tag that is longer than 60 characters, the title displayed in the search engine results page will be cut off (see image 3). When creating the title tag for a page include the number one keyword that the page is targeting. It is best to include the main keyword as close to the beginning of the page title as possible. Although it is important to add top keywords to the page title, you should avoid cramming in as many keywords as possible, and make sure that it makes sense to the reader. This is important as the title tag is visible in the search engine results, so in addition to optimising it with keywords, the title needs to encourage potential customers to click your listing. Search engines can also detect when keywords have been unnaturally strung together or repeated just to rank, and this will actually decrease rankings. Why Optimise The Title Tag? Optimising the title tag to include the main keywords that the page is targeting is important, as search engines use the page title to determine whether or not the page is relevant to the search query. Using the example above (see image 3) if the page is targeting the search query “best tyre prices” adding that term to the beginning of the title tag indicates to search engines that the page is highly relevant to search queries including that term. For wordpress websites download the yoast plugin to easily edit the page title tag and meta description (see image 4). A meta description is an HTML element that provides a summary of the page. The meta description of a page is displayed below the title tag in search engine results (see image 5). The optimal length of a meta description is 150 t0 170 characters. The character limit for meta descriptions is for the same reason as title tags – because descriptions with more than the optimal characters will be cut off when displayed in the search engine results (see image 6). 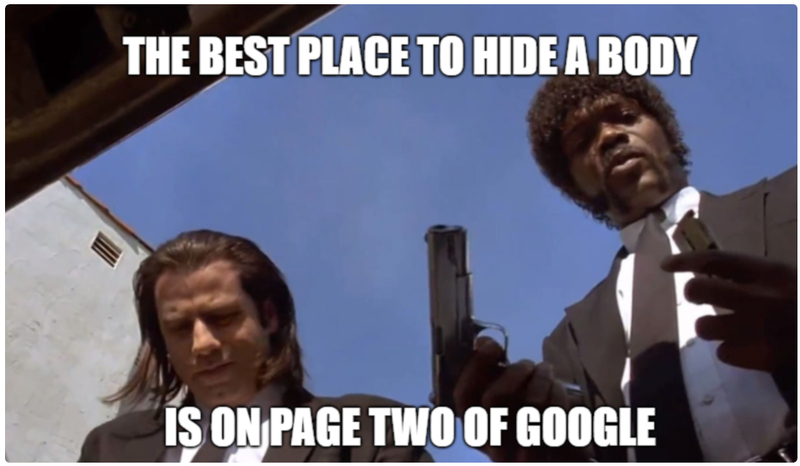 When creating the meta description for a page you should include the top terms that the page is targeting. However, it is important that the keywords are naturally included in a sentence rather than listed. This is because, not only can search engines detect if keywords are naturally incorporated, the meta description is a visible element in the search engine results page that potential customers will read before deciding to click through to your website. Additionally, including a promotion or offer in the meta description can encourage users to click your listing over others. Why Optimise The Meta Description? Adding the top keywords that you want your page to rank for to the meta description of the page indicates to search engines that the page is highly relevant to those terms, subsequently boosting rankings for search queries that include those terms. Additionally, users will see the meta description on the search engine results page before clicking through to your website. Adding highly relevant keywords will reduce irrelevant clicks as users will know exactly what the page is about. Including an offer in the meta description will also increase click through rate as it provides users with a compelling reason to click through to your website over your competitor’s sites. The h1 tag is an on page element that defines the most important heading. The h1 tag will usually be the largest text at the top of the page that acts as the main heading of the page (on this page the h1 tag is “Starters Guide To Optimising A Website For Small Business Owners”). In general, there should only be one h1 tag per page (with subsequent headers from h2 tags to h6 tags used as subheadings), and it should be used to define the contents of the page. Similarly to optimising title tags and meta descriptions, you should include the top keywords for the page in the h1 tag. However, the h1 tag is the most noticeable piece of text on the page, and therefore, should also be optimised for user experience. This means that the h1 tag should clearly indicate the contents of the page to the reader. For blog posts and articles, the h1 tag should be used to pique the interest of readers and encourage them to read the article. Why Optimise The h1 Tag? Although the h1 tags have not been confirmed to be a direct factor for determining organic rankings, they are long believed to impact search engine rankings, and can be used to improve user experience. The h1 tag on a wordpress website can usually be edited by changing the title at the top of the page (see image 7). What Is An Image Alt Attribute? An image alt attribute is the text that displays in place of an image that doesn’t load, or when a website is visited by a visually impaired user. Unless the image on the page does not load, an image alt attribute is not a visible page element. Image alt attributes can be optimised by adding a keyword or phrase that is relevant to the image and the page that it is on. As this is not a visual page element, the keyword can simply be written as is, rather than incorporated into a sentence or paragraph. Using the example of “best tyre prices” above, the image alt attribute would simply be “best tyre prices”. Why Optimise Image Alt Attributes? Because search engines cannot see what is portrayed in an image, they use the image alt attribute to ascertain what the image depicts. Using top keywords as the image alt attributes indicates to search engine that the image is relevant to that term, and increases the rankings of that page for search queries that include the same term. When you add an image to a wordpress website the “attachment details” will appear on the right hand side. The box marked as “alt text” (see image 8) is where the image alt attribute can be edited. Once you have optimised the title tags, meta descriptions, h1 tags, and image alt attributes on every page of your website, your site will be well on its way to page one of Google.